While we’re now just beyond the point of wishing everyone Happy New Year for 2016, I didn’t want 2015 to pass by completely without reflecting on what has transpired on Alive with Clive in the year(s) preceding 2016. And so, in this in this Blog post I’m going to mention what has been accomplished to date in the world of Alive with Clive before setting the stage for what is in store for the future. 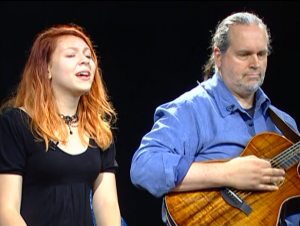 In keeping with prior years, in 2015 a singer-songwriter was featured on Alive with Clive in a new show every single week. 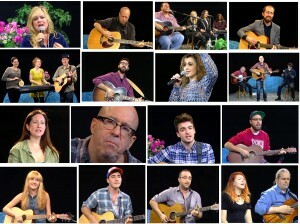 As in 2014, most singer-songwriters who appeared on Alive with Clive in 2015 were on two shows, and for the year a total of 31 singer-songwriters were featured on the show. To give you a sense in a couple of images of the breadth and depth of talented singer-songwriters who were featured on the show in 2015, I’ve created two global graphics. 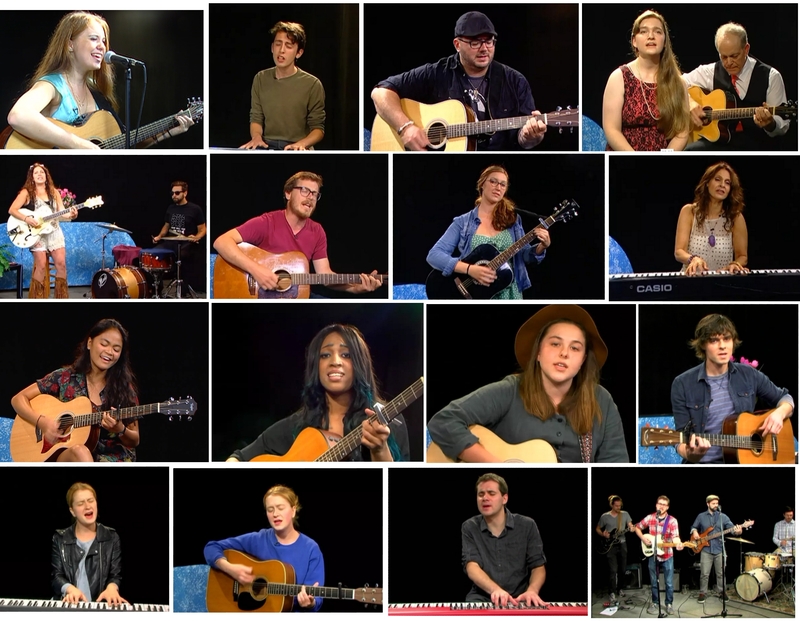 For more information about and to see the shows featuring these singer-songwriters, click here. 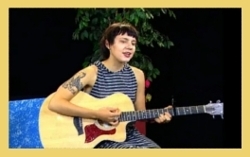 While Alive with Clive was established in its earliest form in September, 2004, as a talk show that featured guests from different fields with a desire to turn a passion into profit, in 2007 the show began to evolve into one that exclusively features today’s top emerging and established singer-songwriters — to inspire you to multiply your magnificence and create an upward spiral of brilliance and joy in the world! While most singer-songwriters who appear on the show are based in Manhattan, Brooklyn, Queens, Long Island, Westchester, New Jersey or Connecticut, the show has featured singer-songwriters not only from a multitude of other states, but also from several other countries, including Australia, Belgium, Canada, Colombia, France, Germany, Georgia, Israel, Japan, Russia, Saudi Arabia, South Africa, South Korea, Sweden, and the United Kingdom. So far more than 280 singer-songwriters have been featured on the show, and you can still vote for them every day to be in The Alive with Clive Top 20 when you click here. 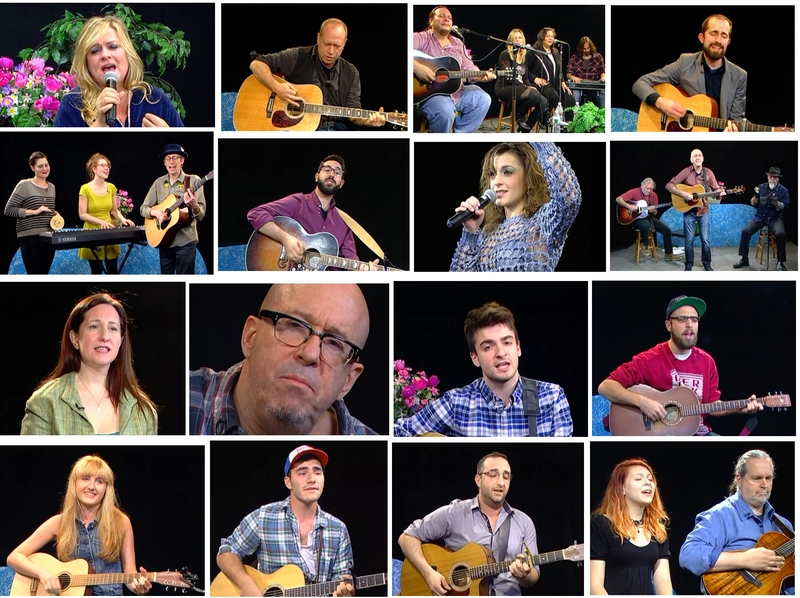 To date over 580 clips of songs performed on the show have been uploaded to The Alive with Clive TV Channel on YouTube, and they have been seen more than 133,700 times. Of the 105 most recent full shows that have been uploaded to Vimeo, more than half are available for viewing in the Archives, and more are constantly being added. 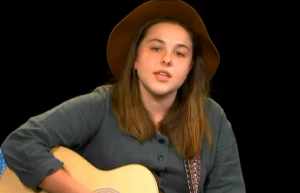 So far only two singer-songwriters or bands have held the distinction of being The Alive with Clive MVP – the most viewed performer with the most Vimeo plays: Worthy Fools, succeeded by Hana Zara, who continues to own that title with 371 plays of her 1st of 2 shows on Alive with Clive recorded in September of 2014. Hana Zara’s 1st of 2 shows currently stands at the top of The Top 10 Shows to see on Alive with Clive with 416 plays. For more info about The Top 10 Shows, see below. 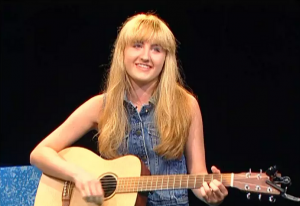 The video clip on YouTube with the most views is the clip of “It’s Gonna Be Love” by Cassandra Kubinski, which has so far been seen more than 6,830 times. The clip of “Knocking At The Door” by Julia Haltigan has consistently been the most viewed clip in recent months. 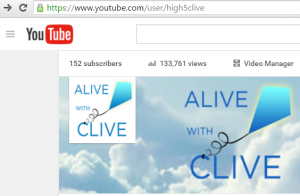 Here’s a Tip for You: When you visit The Alive with Clive TV Channel on YouTube, look for the Subscribe button to click on to Subscribe to the Channel so you’ll be notified about new video clips as soon as they are uploaded to the Channel. With over 400 shows dedicated exclusively to singer-songwriters who in the aggregate have performed more than 1,000 songs on Alive with Clive, by now the show might have the largest collection of original songs performed on television by singer-songwriters ever assembled in the world! As you’ll see in the Table below, both Chloe and Annie have generated enough plays on Vimeo to be in The Top 10 Shows. 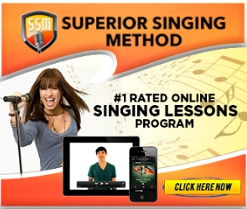 To find out more about all three of them and see them sing their songs on their shows, click on their images above. Or you’ll find them with all the other singer-songwriters who’ve been on Alive with Clive in the Archives when you click here. To provide an incentive and benefit to singer-songwriters who’ve been guests on Alive with Clive to encourage their fans to watch their shows on Alive with Clive and thus gain additional exposure on the Home Page of www.alivewithclive.tv, under the Main Window on the Home Page there is now a section that shows The Top 10 Shows. These are the shows that have generated, and continue to generate, the most Vimeo plays after the first five weeks of being available for viewing. 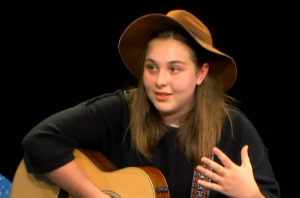 With the increased amount of interest in Alive with Clive, and traffic to www.alivewithclive.tv, expected in the weeks ahead, any singer-songwriter who has been on Alive with Clive and is in The Top 10 Shows stands to receive a lot of additional exposure. The Alive with Clive Store has been revamped and is now open and stocked with several exciting new digital and physical products, including the new Alive with Clive Mug and Mousepad, and an order for the first batch of new Alive with Clive T-Shirts will be placed with the manufacturer as soon as the first 24 are sold. Astute observers who visit The Alive with Clive Store will also note that the epic Alive with Clive Crowdfunding Campaign of 2016 has now also quietly been launched. — Stay tuned for more news about The Alive with Clive Crowdfunding Campaign of 2016 in the weeks ahead. 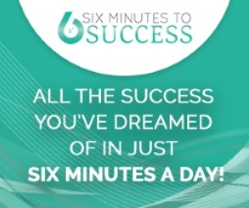 — In the meantime, though, note that there are distinct advantages for the early movers and shakers — will you be one of them? — who are first to secure the benefits with limited availability at the higher levels before they are claimed by others. All the technological issues relating to the issuance of Points to Members of The Alive with Clive Global Community have now been resolved, and so the fun and games with Points will be beginning soon. While I’ve only just begun to scratch the surface of upcoming endeavors involving Alive with Clive, since I don’t want it to feel like you’re drinking from a gushing firehose I’m not going to tell you more about them now. Instead, in the weeks ahead, you’ll be finding out a lot more about all that is in store for you as you continue to discover, connect with and be inspired by today’s top emerging and established singer-songwriters, and see them thrive on Alive with Clive! Before you go, make sure you pay special attention to P.S. # 3 of 3 below so you too can receive the surprise bonuses that await you as your reward for reading and sharing this Blog post. To Like Alive with Clive on Facebook, click here. To Follow Alive with Clive on Twitter, click here. To Subscribe to The Alive with Clive TV Channel on YouTube, click here. P.S. # 2 of 3: With Valentine’s Day approaching, why not get yourself in the mood for L-O-V-E by revisiting the series I published in February last year of Top 10 Love Songs that were performed on Alive with Clive prior to the publication of that series. To see the Top 10 Love Songs, click here or on the image below. P.S. # 3 of 3: If you share this post on Facebook or Twitter before March 1, 2016, you’ll qualify to enter a contest to win a new Alive with Clive Mug and receive other surprise bonuses too! To share this post on Facebook or Twitter so you can enter the Contest to win a new Alive with Clive Mug and receive the surprise bonuses, click on the image of the new Alive with Clive Mug above or CLICK HERE!